Around the world, 26.7 million hectares of agricultural land have been handed over to foreign investors since the year 2000. Hence, these investors possess approximately 2 per cent of the arable land worldwide, or roughly the equivalent to the total area covered by the United Kingdom and Slovenia together. This finding comes from a new report titled ‘Land Matrix Analytical report II: International Land deals for Agriculture for Agriculture’. It was released on October 11. The Land Matrix Initiative (LMI) is an international non-profit which works towards collecting data through its chain of global partners to improve transparency around large-scale land acquisitions. In April 2012, LMI published its first Analytical Report. According to LMI report, overall 1,204 concluded deals (for all intentions) cover more than 42.2 million hectares of land. The majority of deals are for farming purposes. Around the world, 1,004 signed agreements on agricultural land exist. They cover 26.7 million hectares. Out of it, agricultural activities have started in only 70 per cent of the land acquired through deal. In 2012, operations had begun in only 323 deals. However, in the last four years, this number has nearly doubled to 604 and the area under production has increased from 1.7 million hectares to 6.4 million hectares. Implementation has been quite fast, with most deals entering the production phase in less than three years. The agreements primarily target areas previously used for agriculture. This increases competition for land and the potential for conflicts with the local population. The majority of deals mention agriculture as the predominant intention. Around 80 per cent deals mentioned agriculture activities like producing agro-fuels, food crops, livestock and non-food agriculture products as the purpose. In 15 per cent cases, they vaguely mention agriculture instead of specific agriculture activities. Out of these agricultural activities, food crops-related activities constitute 38 per cent, followed by 23 per cent ‘unspecified’ activities. LMI data also shows which crops investors generally chose to grow. Most of them opted for oilseed crops, including oil palm and jatropha (44 per cent), and cereals (20 per cent), followed by sugar crops (10 per cent). 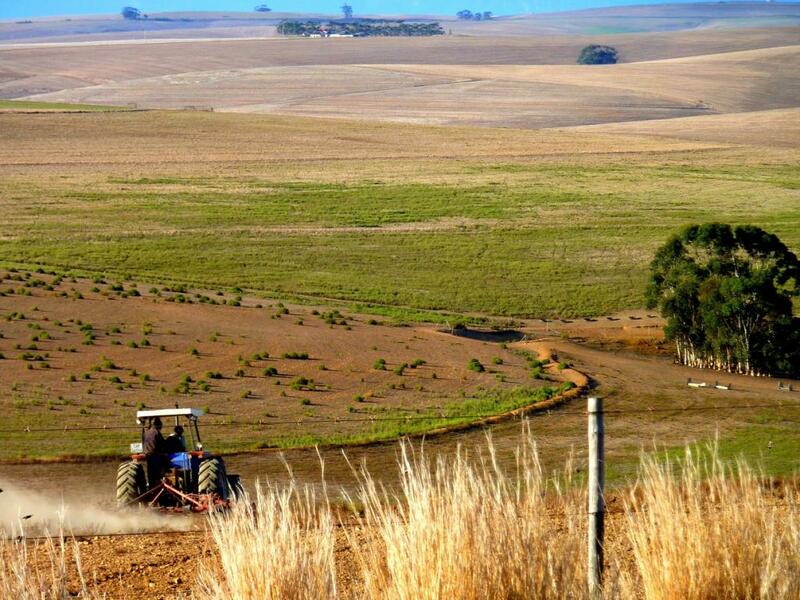 Africa is the continent most impacted by land grabs, with 422 deals covering a total area of 10 million hectares. Other heavily impacted regions are Eastern Europe and Southeast Asia. Africa also has the highest number of intended deals—the ones under negotiations. Total 147 intended deals would cover 13.2 million hectares. Land acquisitions are concentrated along major rivers and in East Africa. The second most important region is Eastern Europe, which accounts for 96 deals and 5.1 million hectares of land. The top five individual target countries are Indonesia, Ukraine, Russia, Papua New Guinea and Brazil which account for 46 per cent of the total area of all concluded agricultural deals and 25 per cent in terms of the number of deals. Most of the investors are from Malaysia, the US, the UK, Singapore and Saudi Arabia. Together, they account for 45 per cent of the land under contract and 37 per cent of all deals. Western Europe is the largest investor in the region with investors being involved in 315 land deals covering an area of 7.3 million hectares. Recently, the pace of investments from the USA has slowed, while investments from tax havens such as Cyprus and the British Virgin Island have increased comparatively. Most of these investments are done by private companies and companies listed on stock exchange. Number of government entities and individual entrepreneurs is quite less.